Korean Kiwi. Pasta monster. Cat mom. Classical music lover. Yogini. Gallery goer. Foody. Sun and warm weather worshipper. Wedding dress designer. After working internationally in fashion for over 20 years, Angela relocated to the mountains of Western North Carolina in 2011. 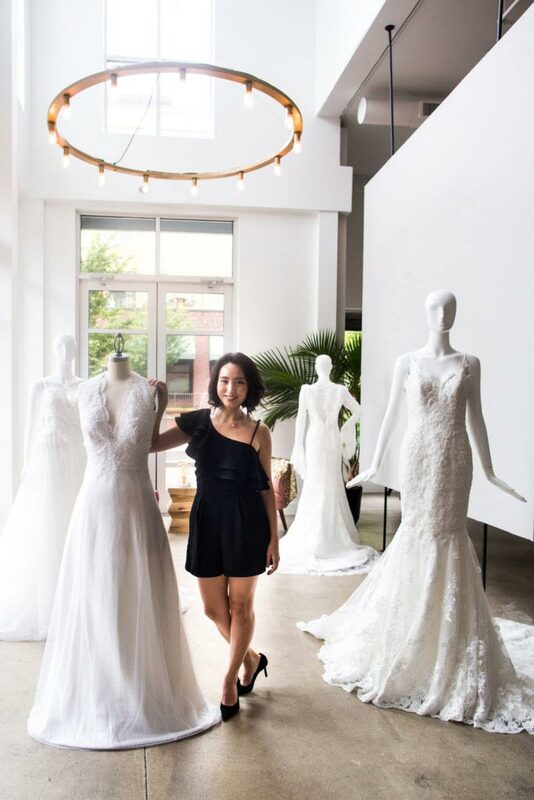 Inspired by the creative community of wedding profesionals in Asheville, she was drawn to wedding dress design because it allows her to use her full skill set as a designer and work with each client on a more personal level — incorporating their inspirations, style and story into their dream dresses. Angela’s designs are creative, romantic and fun, each one lovingly created to reflect the bride’s wedding vision. 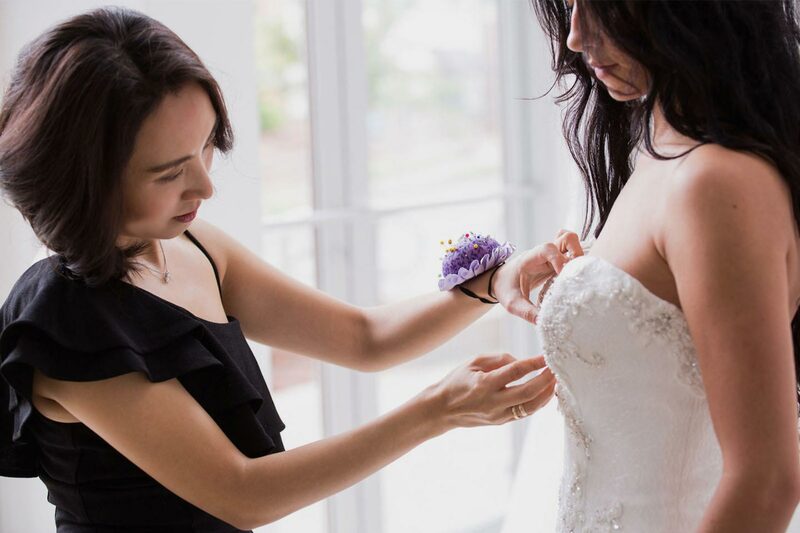 Consult with Angela to bring your dream dress to life. ©2018 Angela Kim Couture, Ltd. Website design by the Jeff Bullock Group. Angela's schedule for 2019 is filling up fast! Please plan your consultation at least 6 months in advance of your event date! 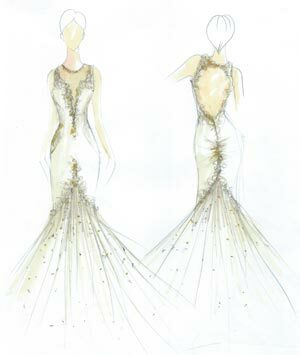 The design process for a custom couture wedding dress takes a minimum of six months, often longer depending on the complexity of the design and details. Mother of the Bride and special occasion dresses are usually completed in a shorter timeframe, depending on the dress. Angela is now taking consultations for custom wedding dresses to be completed as early as September 2019.